Vase‐shaped microfossils (VSMs), interpreted as the remains of testate amoebae, are found in late Tonian sedimentary rocks around the world. Here we explore the taxonomy, taphonomy and stratigraphical occurrence of VSMs from the Callison Lake Formation of the Coal Creek inlier, Yukon, Canada. Found in silicified black shale horizons and stromatolitic dolostone, sedimentological data suggest these VSMs inhabited a series of marine embayments characterized by lagoonal and/or shelf interior depositional environments. The fossiliferous strata have recently been dated with Re–Os geochronology at c. 753–740 Ma, which indicates they are not only coeval with diverse VSM assemblages described in the Chuar Group of Grand Canyon, Arizona, but also provides supportive evidence for the early diversification of eukaryotic clades prior to the Sturtian age Snowball Earth event (c. 717–660 Ma). 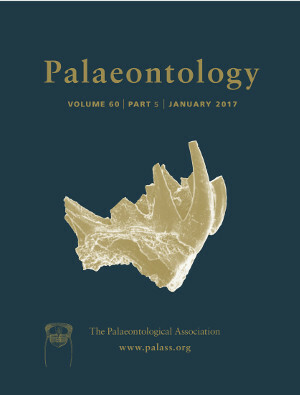 Petrographic examination of well‐preserved specimens reveal taxa comparable to those from the Chuar Group, as well as two previously undescribed species. Species overlapping with Chuar Group VSMs are Bonniea dacruchares, Bonniea pytinaia, Cycliocyrillium simplex, Cycliocyrillium torquata, Melanocyrillium hexodiadema and Palaeoarcella athanata. New taxa described here are Bonniea makrokurtos and Cycliocyrillium rootsi. Energy dispersive x‐ray spectroscopic data reveal that the Callison Lake microfossils are preserved through a variety of taphonomic pathways, including silicification, infilling, authigenic mineralization and dolomitization. We explore the utility of M. hexodiadema as a latest Tonian biostratigraphical marker and examine the role of Callison Lake sequence stratigraphy as a control on the distribution and abundance of VSMs in the Coal Creek inlier and other global sedimentary successions.